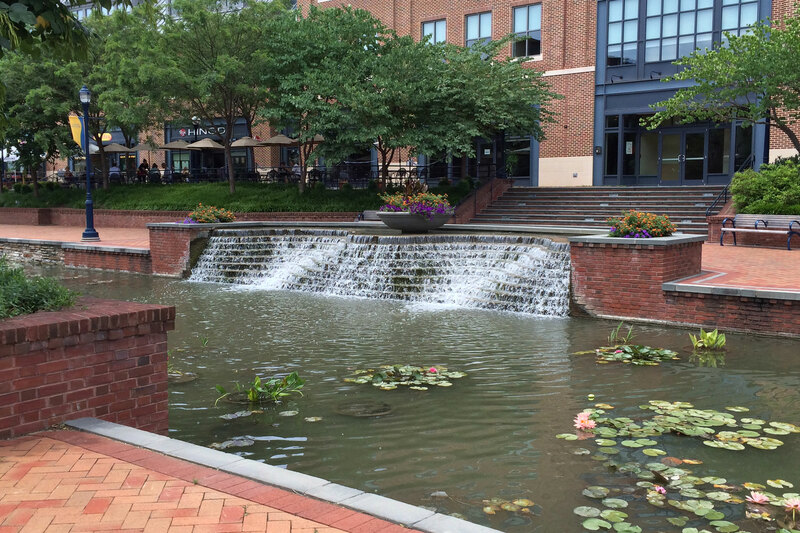 Carroll Creek is a revitalized downtown in Frederick, Maryland. Carroll Creek began as a flood control project in the late 1970s in order to remove the downtown sector from the 100-year floodplain and restore the economic vitality to the historic commercial district. The entire project consists of multiple phases. 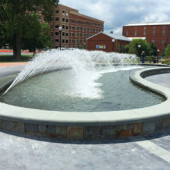 Delta Fountains designed and provided equipment for the water features in all five phases of this project. The phase of the project shown here was one of the first stages to be completed. 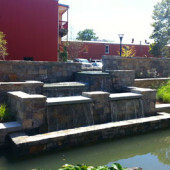 Delta Fountains provided equipment and lighting for the stairstep fountains on the banks of the creek. These stairstep fountains pull water from the creek, up over a table-top feature, and back down the steps to feed into the creek. 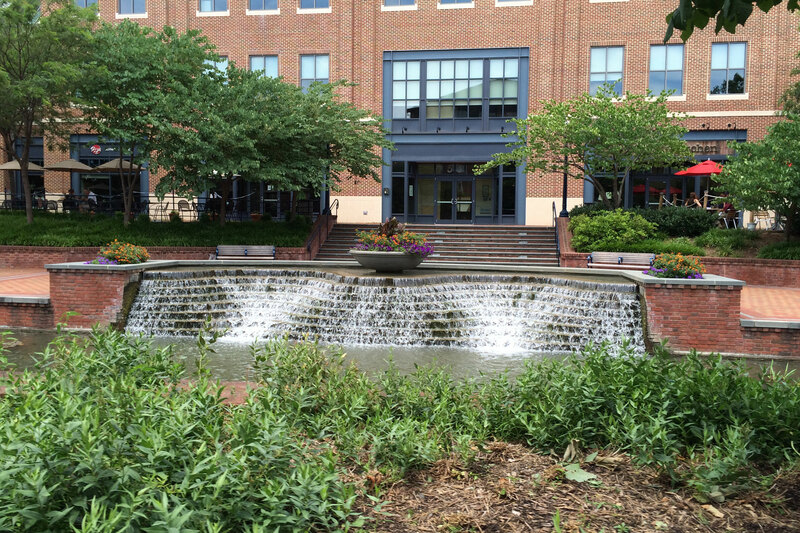 Click the links below to view the other phases of the Carroll Creek Revitalization project.